While China and Taiwan are at odds with one another globally, Seattleâs Chinatown has quietly orchestrated the two sides into quiet acceptance. On June 10, several Chinese and Taiwan officials were celebrating in Seattleâs Chinatown, in good spirits â" without creating fury or crisis â" and local elected officials criss-crossed from one restaurant to another like a swarm of bees, to schmooze both sides. At the House of Hong, the Chinese community organized a dinner of 500, for San Franciscoâs Consul General of China Luo Linquanâs retirement after his term of three and a half years. Luo has since left the United States and returned to Beijing. Washington state is one of the states under the jurisdiction of the San Francisco Chinese consul office. 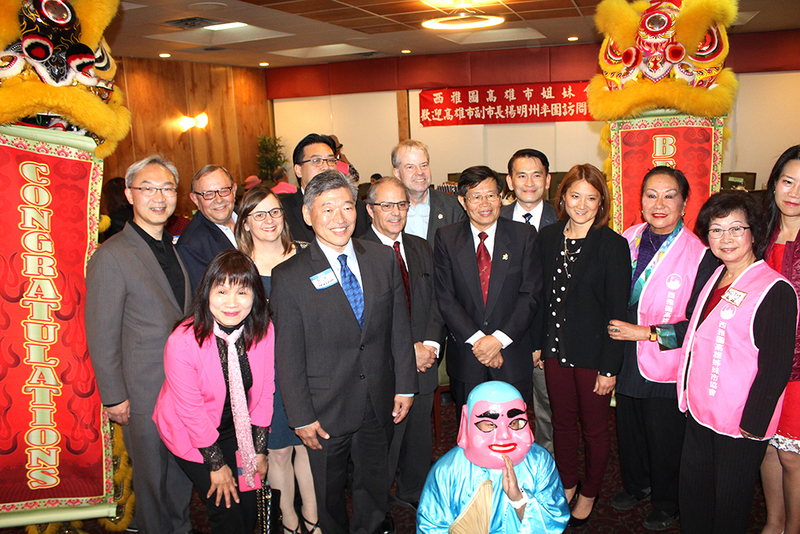 Two blocks away, another Chinese group of 100 welcomed Taiwan Deputy Mayor of Kaohsiung, Yang Ming-Jou, to Seattle at the Ocean Star Restaurant. Seattle has been Kaohsiungâs sister city for 27 years. 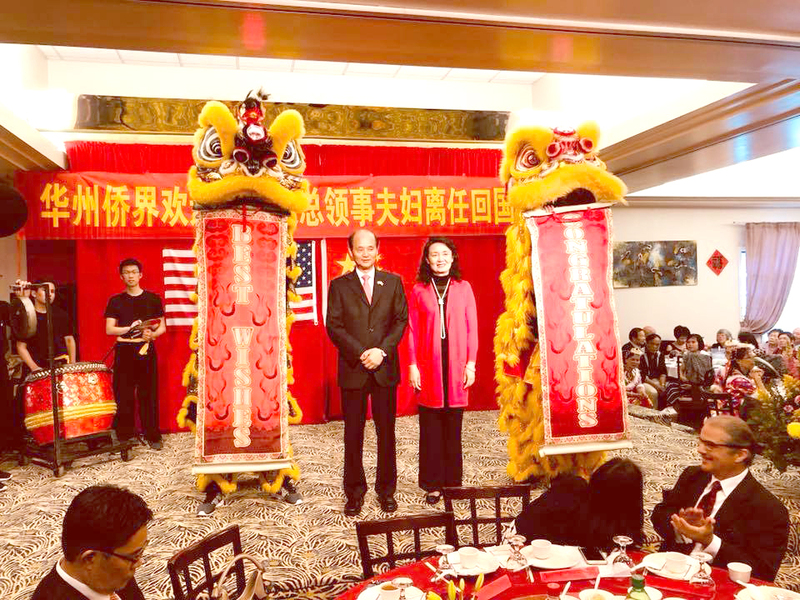 The coordination between the events were so much in synch that Washington state officials could attend both dinners without missing the handshakes, photo opportunities, and lion dances. How did the Chinese community orchestrate both events simultaneously without the Chinese or Taiwan officials feeling slighted or being upstaged? Conflicts between China and Taiwan have permeated to the local scene since the last century. It was not easy for the Chinese community to stay neutral. Just like U.S. partisan politics, you were either red (pro-China), blue (pro-Taiwan), or green (pro-Taiwan independence). If you were pro-China, you were less likely to attend Taiwanâs community events. If you were pro-Taiwan, you disagree with China being totalitarian, and state that Taiwan is a democracy. In the past, both sides organized protests at opponentsâ events. Youâre just asking for trouble if you invited both Chinese and Taiwan officials to sit in one room. Before the event, you would be traumatized with harsh negotiations. Each countryâs representative would fight for the head table and demand its official flag to be displayed in the room. One big symbol of legitimacy was the presence of American officials at the event. And who would sit next to the U.S. officials? Local Chinese community leaders learned their lesson the hard way. Several Chinese community organizations have experienced internal power struggles because of their China or Taiwan stance. Traditionally, Chinese organizations were on Taiwanâs side. However, the Chinese consul generals are relentless in courting community support over the years, and have granted prestigious titles and honors to overseas Chinese, in addition to hosting trips for them in China. (Taiwan employs a similar agenda). One by one, several organizations switched to supporting China. The Chinese communityâs original ties to Taiwan were influenced by two factors: the dominance of the Chow family dynasty and the communityâs fear and dislike of communism. Some Chinese family members had suffered persecution under the Chinese Communist regime. From the late matriarch Ruby Chow, a former King County councilmember, to daughter Cheryl Chow, a former Seattle City councilme mber, the Chow family who controlled the Chong Wah Benevolent Association were die-hard supporters of the Taiwan government for decades. After the death of Ruby and Cheryl, it was like the passing of an era. In 2009, Rubyâs late husband Ping was invited to ride in the community parade for Chinaâs 60th anniversary celebration. Collective jaws dropped when community members saw that Ping was in the parade. What made many community members shift alliances from Taiwan to China was due to Chinaâs rise to power on the global stage. Buoyed by the No. 1 Chinese leadersâ visit to Seattle, including Jiang Zemin, Hu Jintao, Xi Jinping (for choosing Seattle as their first stop in the U.S.) over the past quarter of the century, their fear and skepticism towards their native land has been transformed to pride and support. Years ago, Taiwan government officials were not open to community members favoring China. As China tries to iso late Taiwan, its officials have adopted a new approach. Taiwan officials have told community members that itâs okay to be friends of both. âThere is no conflict to support both Taiwan and China. You are Chinaâs friend and you are also Taiwanâs friend,â said a Taiwan diplomat. On Taiwanâs annual celebration of its Republic of Chinaâs anniversary in a mainstream hotel, it is common to see pro-China folks showing up. If politics are seen as a hard strategy to pursue, Taiwan diplomats and immigrants have shifted its focus to promote Taiwanâs culture and heritage instead. Itâs a indirect way to illustrate the difference between Chinaâs and Taiwanâs way of life. The annual Taiwan Festival in Seattle has grown from a day to several days, then weeks to more than a month. Its annual Night Market at the University of Washington is a packed and expanded event every year. On June 10, young Chinatown community leaders pla yed a big role in organizing two different banquets at two different locations for the Chinese consul general and the Taiwan deputy mayor, with skill and tact. Initially, the Taiwan group planned to have its welcoming party in Bellevue. But they were willing to change venues due to the importance of having U.S. officials showing up. It was so seamless that many in the audience werenât aware there were two political events held simultaneously, and American officials including former Lt. Gov. Brad Owen, State Sen. Bob Hasegawa, and Seattle Senior Deputy Mayor Mike Fong were at both events. Born in Taiwan, State Rep. Mia Gregerson attended only the Taiwan event. The presence of U.S officials is important as it validates both sides. Itâs a matter of âfaceâ for both China and Taiwan diplomats. Hasegawa and Owen have also visited China and Taiwan. It was so perfectly timed that the same lion dance was transported from one event to another. Were the two sides a ware of what was going on? Yes. Organizers noticed some seats at the head table were empty and then people would return after 20 minutes. How did the young Chinese community organizers manage the whole situation? Since both events were held on the same night, itâs more convenient for Washington state government officials to attend both dinners, said Tony Au, one of the organizers. In the old days, Chinese officials might not be happy. Now, both sides have developed an understanding and acceptance. Now, this perspective and new ph enomenon would take years to develop in San Franciscoâs or New Yorkâs Chinatown.